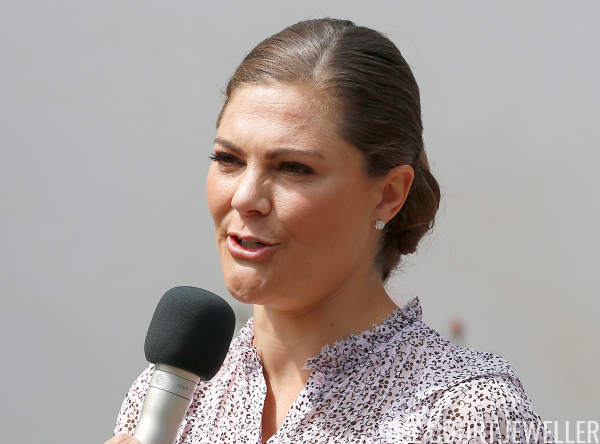 Crown Princess Victoria, the future Queen of Sweden, celebrated her 41st birthday on Saturday with festivities on the island of Öland. 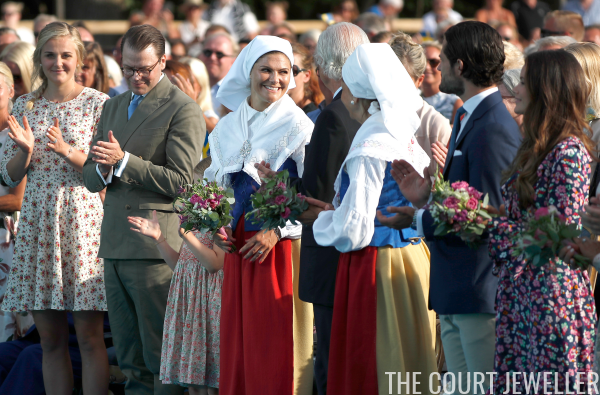 Here's a look at the jewels the family wore for the annual Victoriadagen celebrations. The day began at Solliden Palace, the royal family's summer home. 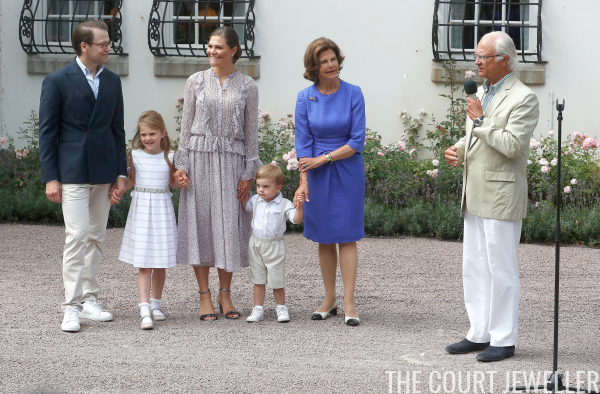 King Carl XVI Gustaf, Queen Silvia, Prince Daniel, Princess Estelle, and Prince Oscar all joined Victoria to mark the occasion. ...which were supplemented by a beaded necklace and bracelets, gifts from the people who gathered to wish her well. 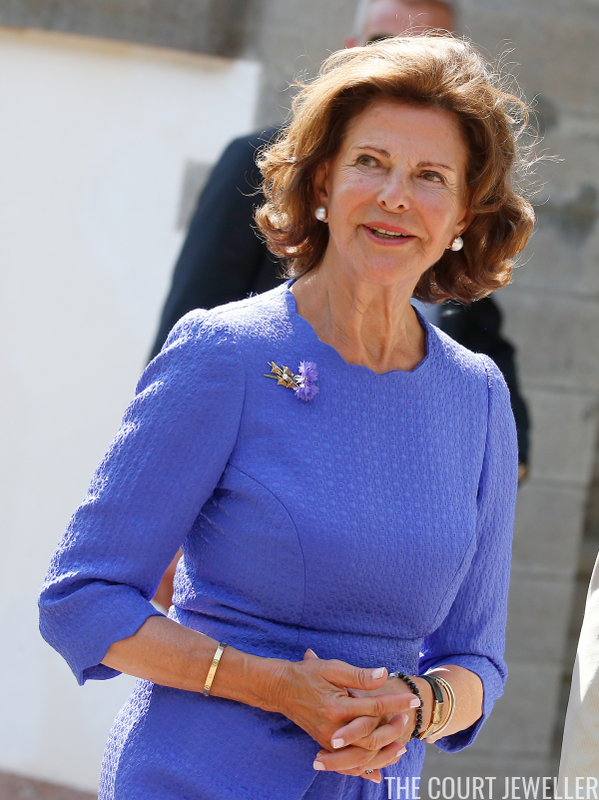 Queen Silvia wore a lovely floral brooch that matched her dress, as well as a pair of pearl button earrings. She also wore bracelets on each wrist; you'll note a gold Cartier Love Bracelet on her right arm. 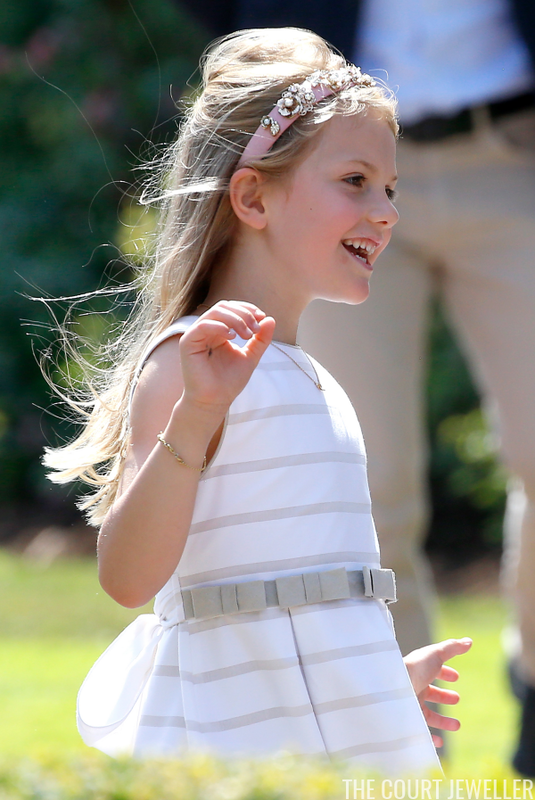 Little Princess Estelle got into the jewelry game this year, too, wearing a delicate necklace and bracelet -- plus a bedazzled headband! 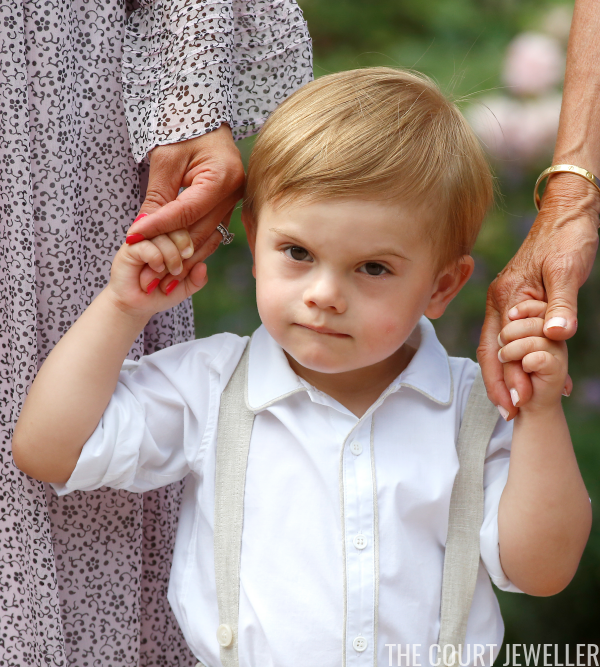 And here's little Prince Oscar, just because he's adorable. 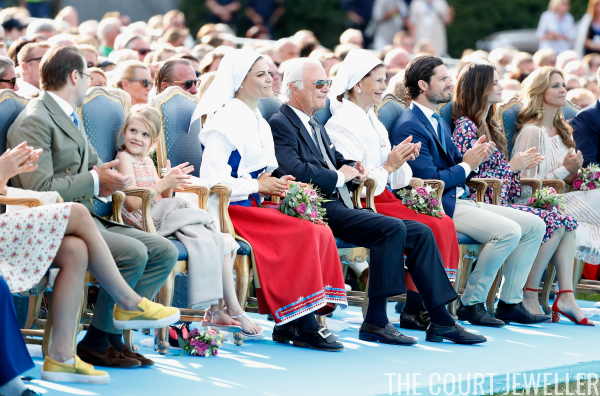 Later in the day, the entire family gathered at the Borgholm Sports Arena for the annual concert given in honor of the crown princess. Victoria changed into national costume, but she smartly stuck with simple stud earrings, which didn't detract from the outfit itself. Silvia also changed into national costume, accessorizing with pearl earrings. Princess Sofia wore an intriguing pair of disc-shaped gold earrings -- but unfortunately, they were hidden by her hair in nearly every image. 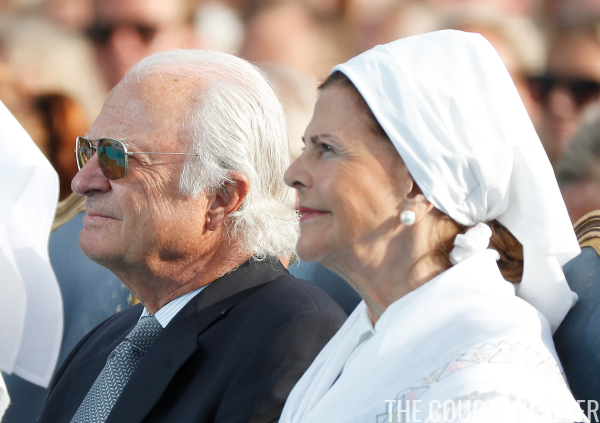 Princess Madeleine's jewelry, though, was definitely more visible! She donned a major pair of leafy statement earrings. Her only other accessory was, sensibly, a delicate necklace with a cross pendant, which didn't pull focus from the earrings.